* Can I register for activities and athletics on-line? * Why don’t you send notice of athletic registrations? * How do I reserve a picnic shelter at a park? And, are reservations required? * Can I have a bounce house in any of the parks? * Are dogs allowed in parks? * When do I need a field permit? * What do I need in order to purchase a boat trailer parking permit? * Why isn’t the Lee County trailer permit good enough for Cape Coral boat launches? * What do I do if I want to be a vendor at a City event? * Who do I contact if I want mini-bus services? * I need community service hours or just want to help out. How do I volunteer? Can I register for activities and athletics on-line? Most activities and athletics can be registered for on-line. On-line registration closes once maximum capacity is near or one week prior to the end of registration so be sure to sign up for your favorite activities early. Once online registration is closed, you should contact the park or athletic department directly to check availability. To go to the online registration page, simply click on the RED "Register Online!" button located in the top left margin of the Parks & Recreation website. Why don’t you send notice of athletic registrations? Sports are operated at Cape Coral City Parks by both the City Athletic Division and by outside community volunteer organizations. Current budgets do not allow for mailing costs for notice of all athletic activities. All sports registration months, seasons, locations, ages and contact information can be found by checking the Athletics section of the current program guide. To access the current program guide, click on the GREEN "View Program Guide" button located in the top left margin throughout the Parks & Recreation website. How do I reserve a picnic shelter at a park? And, are reservations required? Shelter reservations are highly recommended as that is the only way to guarantee availability of your desired shelter. They are rented for a nominal fee ($40-$75 plus tax for Cape Coral residents) and once secured, you will have the shelter for the entire day. We do not double book events at a shelter. Otherwise, un-reserved shelters are available to the public on a first come, first serve basis. To check availability and to reserve a shelter, please call 239-573-3128 or click here for additional information on shelter locations and amenities. Can I have a bounce house in any of the parks? No. Unfortunately, liability issues and potential damage to the park prohibit bounce houses at this time. Pets are not permitted in the athletic parks, playgrounds, beaches, picnic areas or trails at any time. Outside of those areas, pets must be leashed and under their owner’s control at all times. Wagging Tails Dog Park is located at Rotary Park and accommodates dogs of all sizes. Please contact Rotary Park for additional information concerning dog park registration at 239-549-4606. When do I need a field permit? Athletic park fields can be rented for a nominal fee. Field permits are required and must be signed prior to field use as they contain a waiver and release. Field permits are also used in coordinating tournament and league play. What do I need in order to purchase a boat trailer parking permit? Cape Coral residents can purchase an annual boat trailer parking decal by bringing their tow vehicle registration and driver’s license to City Hall (Parks & Recreation office is upstairs) or to the Yacht Club Community Park. The annual pass costs $50. There is also a provision for commercial Cape Coral businesses to purchase annual decals for $100. Call 239-573-3128 or click here for additional information. Why isn’t the Lee County trailer permit good enough for Cape Coral boat launches? The City of Cape Coral boat launches and the Lee County launches are not paid for with common funds. Therefore, the City and County both charge fees to help cover costs for maintenance and improvements. What do I do if I want to be a vendor at a City event? Special event vendor information may be obtained by calling 239-573-3123. A representative will be happy to discuss needs and costs with you for City produced events such as Cape Bike Night and the Coconut Festival. If you would like to be a vendor at an event held at a specific park, such as Sunset Celebration on the Pier at the Yacht Club, please contact the specific park office for details. Who do I contact if I want mini-bus services? 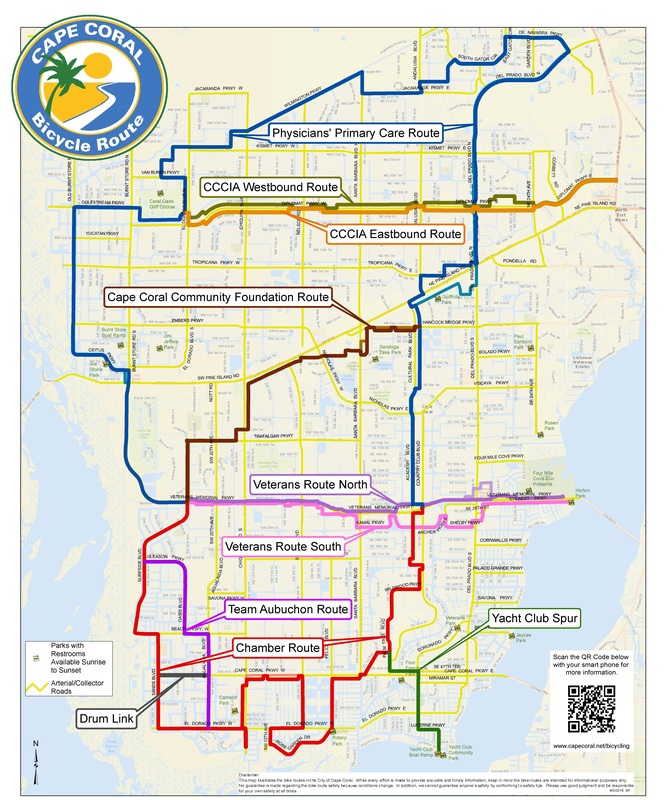 The Cape Coral Mini-Bus service can be contacted at 239-574-0573. This door-to-door transit service, which is based out of Lake Kennedy Center, offers transportation to qualified residents Monday through Friday between the hours of 7:30 a.m. – 4:00 p.m. at a cost of $6 per one-way trip. Fee assistance is available but not guaranteed. I need community service hours or just want to help out. How do I volunteer? Volunteers of all ages are welcome! Please contact the facility you wish to volunteer at and they will make arrangements to meet with you and discuss available opportunities which will match your interests. You will then complete paperwork which will be forwarded to Human Resources for review and you can start sharing your talents! Additional information may be obtained by calling 239-573-3120.